That’s the legacy that motivates us. That’s the mission that guides us. 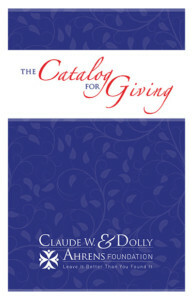 The Claude W. and Dolly Ahrens Foundation was established as a family foundation in 1993 by the late Claude W. Ahrens. 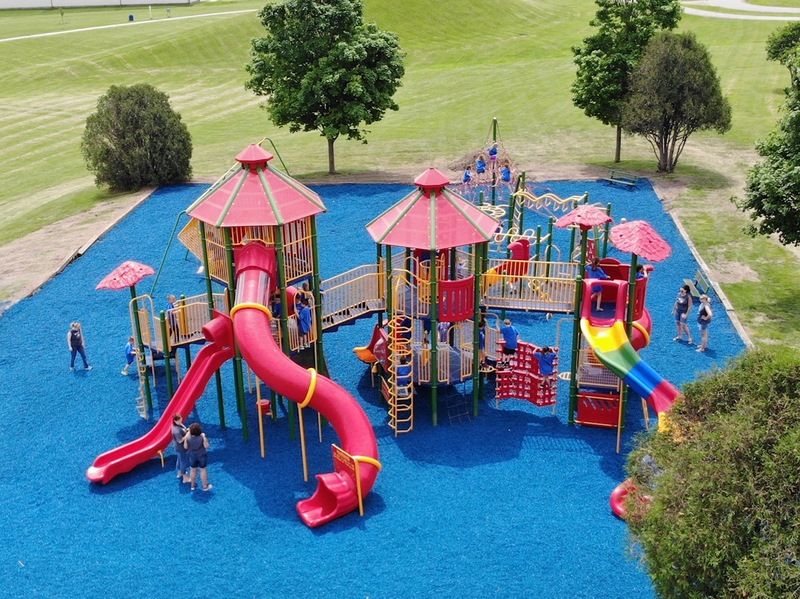 Mr. Ahrens enjoyed a long, successful business career in the playground and agricultural manufacturing fields and desired to return some of the fruits of his labor, particularly to his native Grinnell, Iowa area, with specific support to his special interest in parks and recreation. Claude W. Ahrens has truly set a philanthropic example to all. The Claude W. and Dolly Ahrens Foundation continues its active commitment to improving the quality of life for our Grinnell community. 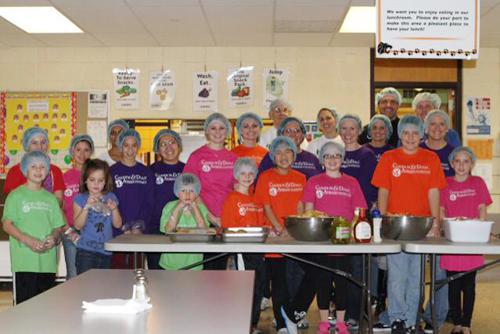 We are dedicated to providing innovative charitable programs and support to local community projects and needs. We are a unique and innovative family foundation striving to help meet the needs of the Greater Grinnell community through ongoing support services and resources by maintaining and perpetuating an endowment. Our purpose is to provide improved and enhanced quality of life for present and future generations with interest in the areas of parks & recreation, education, and health with our collaborative partners. 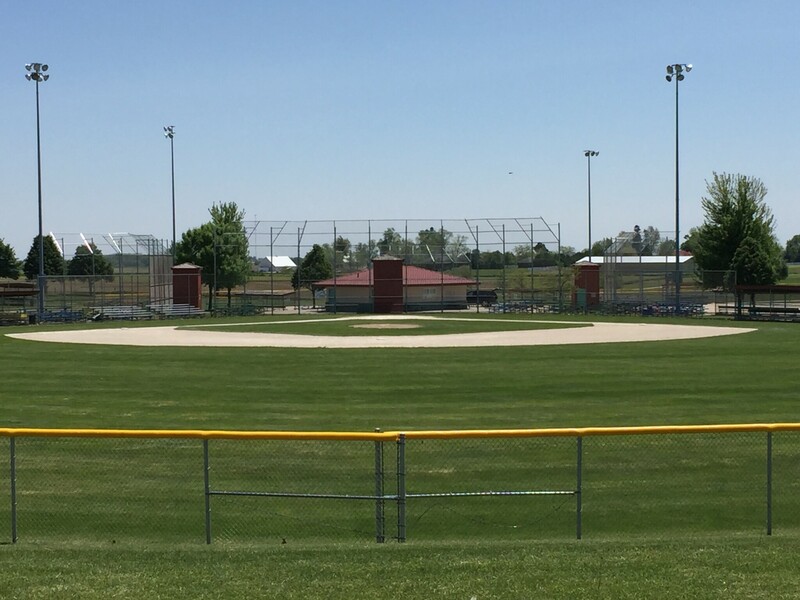 To enhance the quality of life for future generations in the Grinnell community and its neighboring communities. Collaboration, Compassion, Innovation, Integrity, Respect, and Wellness. 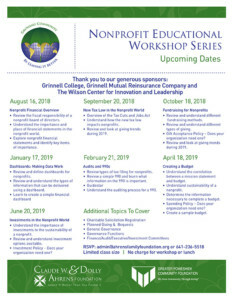 Click the image below to view or download the educational workshop schedule. The Claude W. and Dolly Ahrens Foundation also serves as an umbrella organization and financial manager for other nonprofit partners and their program funds. Please click the Catalog For Giving image below to learn more about the nonprofits we serve and how you can support their program funds.